Quite possibly the perfect wedding earrings! Rose cut diamonds encircle old european cut diamond centers in a beautiful floral cluster dangling from diamond set leaves and diamond tops. 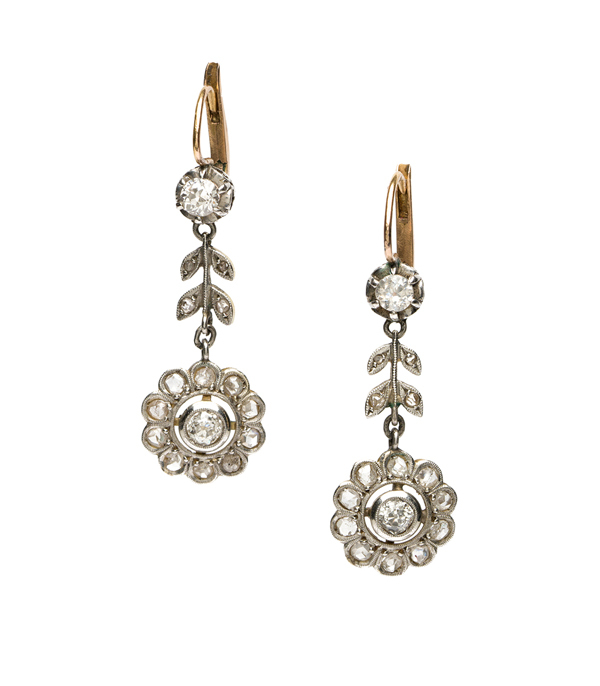 In true Edwardian fashion these lightweight dangle earrings dance on the ears with whimsy and charm. Crafted in 14K white and yellow gold, these show-stopping earrings would make an equally perfect addition to a vintage-styled botanical wedding or every day life!